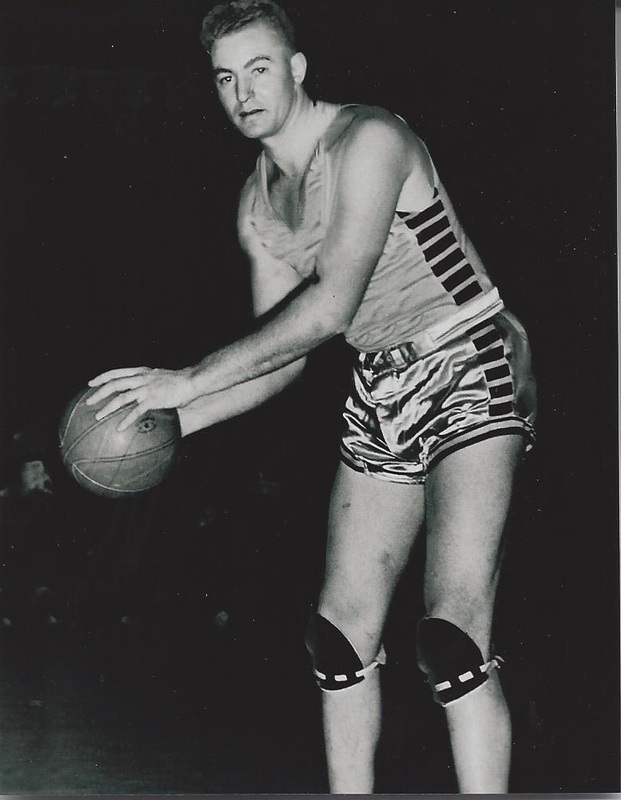 Howie Bollerman enjoyed a long and varied career in basketball. In 1925, he was a member of the Hackensack High School team that beat Passaic High School 39-35, ending the school’s 159-game winning streak. Bollerman played basketball at Colgate University for three years, winning All-American honers at the end of his senior year in 1929. He was a teacher and coach at Bound Brook , New Jersey High School from 1929 until 1937 and later returned to Hackensack High School where he won to state basketball championships in 1945 and 1952. He also became principal of the high school. Simultaneously with his teaching and coaching careers, Bollerman played professional basketball for sixteen seasons. He was the center for Trenton on the 1932 Eastern League Championship team. In 1935, he repeated the feat helping the Brooklyn Visitation win the American League title. Bollerman’s career was prolonged by the shortage of players during World War II. He remained a starting center in the American Basketball league until he was nearly forty years old.